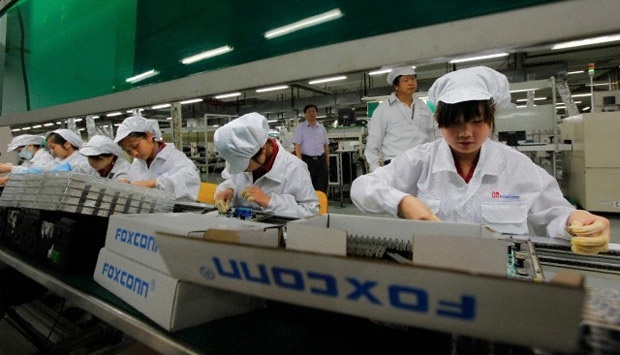 The Fair Labor Association has published a final status report on the working conditions at Apple supplier Foxconn, finding that Foxconn successfully reduced working hours to comply with the Fair Labor Association's standard 60 hour work week, but failed to meet the Chinese legal limit of 49 hours per week and at times, exceeded the legal limit of 36 hours of overtime per month. Today's report follows an initial audit that took place in February of 2012 and a later agreement in March where Foxconn agreed to examine worker pay and implement stricter control over working hours while also improving working conditions. Over the course of 2013, the Fair Labor Association visited three Foxconn facilities in Longhua, Guanlan, and Chengdu, with Foxconn providing full cooperation and unrestricted access to both facilities and workers during the verification process. Along with improving working hours, Foxconn also made moves to install additional exits and bathroom facilities. FLA assessors verified that workers at the Longhua and Chengdu facilities worked no more than 60 hours every week between March and October; the same was true in the Guanlan facility with the exception of seven weeks during this period when working hours exceeded 60 hours. The assessment found that between March and October 2013, on average more than half of the workforce had worked beyond the Chinese legal limit of 36 overtime hours per month in all three facilities. FLA assessors found that no interns had been engaged at any of the three facilities since the January 2013 verification visits and that the internship programs had been concluded at all three facilities. Assessors also verified that construction of additional exits and toilets was underway at the three facilities, with completion slated for the end of the year. The Fair Labor Association expects Foxconn to continue to monitor its employee working hours to ensure compliance with the 60 hour work week while also making progress towards reaching a 49 hour work week. While the FLA will no longer be monitoring Foxconn, Apple is required to continue monitoring labor compliance, reporting back to the FLA each year. Apple tracks working hours for its supply chain employees and also maintains a Supplier Responsibility section on its website, publishing yearly reports. The company has pledged to prevent excessive work hours, unethical hiring policies, and the hiring of underage workers at the factories that supply Apple with parts. Throughout the year, various Apple suppliers have been continually accused of poor working conditions. In July, Pegatron was accused of having poor living conditions, and unethically holding worker pay. Pegatron was further accused of labor violations earlier this week, following the death of a fifteen-year-old factory worker in October. Along with working with the Fair Labor Association to ensure safe working practices at factories, Apple also formed an academic advisory board for its Supplier Responsibility program in July, tasked with studying Apple policies and conducting research on labor standards in Apple's supply chain. Apple takes violations to its policies seriously, and in January, the company dropped Pingzhou Electronics as a supplier after it was found to be hiring multiple underage workers. 49 hours per week? Wow, that seems kind of ridiculously low. I would have "violated" that hundreds of times in my own career. Unrelated*, iPhone 5s shipping almost immediately these days. Just curious, does Foxconn only manufacture Apple products? Or, is the Fair Labor Association only tracking conditions at sites that produce Apple products? No other companies give a ****. They're not under the microscope like Apple. This is all very ridiculous. These people's lives are a joke to multinational corporations. Apple's only dealing with the FLA because they feel pressured into looking like they care. This isn't how people's lives improve, it's how companies please their shareholders. Consumers, time and time again, have proven they don't give a rats *** about any of this. How would you like it if some outside Fair Labor Association tried to put a limit on the number of hours you could work when you're trying to earn enough to support your whole family? Maybe the Fair Labor Association should mandate a higher pay so you don't have to work 60 hours a week to make ends meat. Especially in a country with universal healthcare where the government pays for it if you have a health problem due to your absurd work hours. * You can argue one way or another whether the workers are being overworked, but you should be aware that by the same metric, many US workers are overworked because there *is* no legally imposed limit on hours worked here unless you happen to be under the age of 16. There should be maximum enforced hours. Beyond that, it should be between employer and employee. No-one should have the right to artificially limit a person's earning powers. As sad as this is, those of you pointing the gun at Apple are probably doing so on one of their products that you JUST HAD TO HAVE. Well thanks to these folks you have it. I write this on my iPad, yes, but I also realize Apple is a CORPORATION trying to MAKE A PROFIT. And that there's a billion people in China who need work. Sounds like a win-win to me. Maybe not an ethical one, but definitely a win-win. Kind of like our air "standards" here in metro Atlanta. We just now hit the mark for some standards that were supposed to be met back in 1997. It took a wet as hell summer and all the stuff the entire country has done to slightly improve emissions, but we finally hit it. BUT there's a whole new list from 2008 we gotta meet by 2015. So we're awesome, except we're not.